The triangles section is made from a jelly roll of Joel Dewberry's Knotting Hill combined with triangles of natural seeded Klona cotton. I decided to add sashing in more Klona in red - I absolutely love this colour, completely outside my normal comfort zone and can't wait to use it again. It is hand quilted using Gutermann quilting thread in the neutral triangles and red Aurifil 28 weight in the red sashing. I can big up Aurifil with a clear conscience because it was very kindly sent to me by Alex Veronelli in response to a joke I posted, and is indeed a lovely thread to use, never knotting or tangling. As well as hand quilting the sashing, I used it in my machine to sew some ties in between the rows. You can see them as little dots on the back of the quilt in this pic. I wondered how the red quilting would look against the trusty Ikea backing and I like the effect although you can see how the quality of my stitching varied, most wildly when I was watching The Bridge at the same time. You can see the acqua binding too - I loved the red/acqua combination so much I decided to go for an unashamedly hand sewn look on the back in the same red Aurifil. The family helped try to get a good photo - see my noble husband leaning into the arctic blast while Thing 2 takes the shot. Thing 1 also acted as photographer while I balanced precariously on a rock trying to unfurl the quilt in the wind. We spotted this lovely matching red boat down by the harbour. The shots I took down there were only made possible by my little helper who hid in the folds and held on tight so that it didn't blow in. It is her quilt and was such a labour of love that if it had blown in I probably would have had to go in after it! Beautiful and I can quite see why the little helper would want to hold on tightly to it! That was fast, you must have worked on it night and day...It's absolutely gorgeous! Lots of pictures, good ones to! 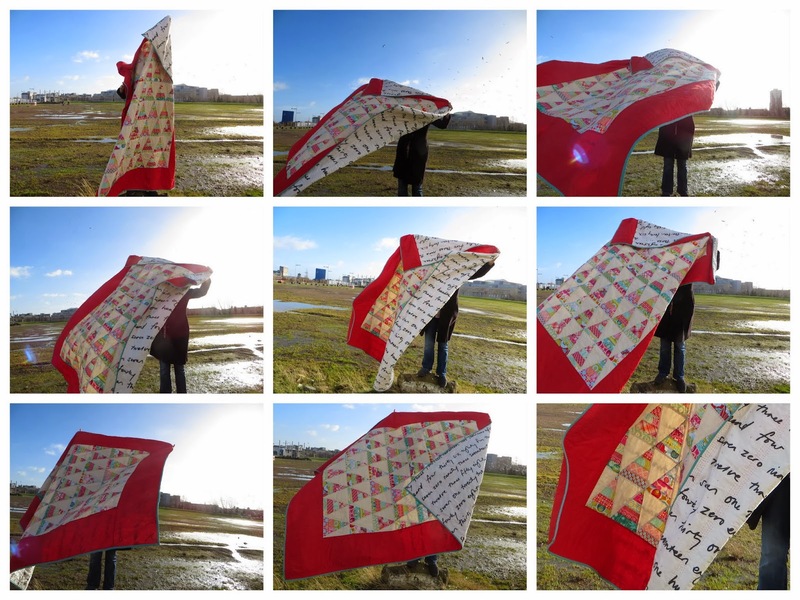 Ah the trials and tribulations involved in photographing quilts, especially when it is windy, cloudy, raining, or just generally difficult. Your quilt, and the pictures, look great though and I'm impressed at how quickly you managed to get it done. Wonderful, love all those great photos! Quilts families are in a league of their own for their photo tribulations. 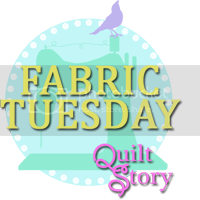 Very lovely quilt and a fun post about it! This quilt is amazing and beautiful. Great work--love the hand quilting!! Such a fun photo shoot - well worth all the trouble for such a labour of love! Most wonderful quilt and super photos. Thank goodness you had a little helper, I was a little afraid that the work of love would fly away. And helpful husband! Awww it looks awesome, well done on all that hand quilting. It looks very windy there - I'm glad that someone was holding on tightly. What a wonderful and fun post!! Love all the 'fly away' shots, and tell me, how much did you pay the shipping company to have that red ship sail into your photo shoot!! Love these shots!! I have been reading each of your posts with delight re the stitching of this beauty. It has turned out just beautifully, and in this case your hand stitching makeths this quilt...not to mention the inspired red sashing, the aqua border and the gorgeous backing fabric!! They all frolic together to make a perfectly, rhythmic quilt!! That was a lovely post, your photos are fun, I bet your little helper had a great time. Your quilt is beautiful, the colour combinations are great, loving the aqua with the red. That lovely quilt with the red ship in the background? ZOWIE WOWIE! Excellent photos and a great quilt! Really love the effect with the big red border, and the cute hand quilting. Lucky Thing! Beautiful quilt and quilting! I love the neutral you used and the bright red border! l love your version. It's supremely cheerful and photographs well against that gorgeous (rare) blue sky. Beautiful work. You did an amazing job. The Red and aqua look fabulous together. Well done! Plus the drama of the photo shoot is so cute - little helpers are the best and the photos turned out beautifully. Thank you Larisa:-) We really did get very lucky with the sun! This is just stunning, and I want one now too! Love the quilt and love the photos. Best photos I've seen for a while!